Ever since the 16th century, people have been drinking Chickweed tea to help deal with a variety of ailments and to support a sense of wellbeing. Known also by folk names such as star weed, mouse ear and chicken wort, Chickweed got its name from the use of feeding the seeds to birds. Before we get into the various benefits of Chickweed, here are a couple of different options for buying it. We’re always on the lookout for the best value and the best quality. This is a relatively inexpensive type of tea, which is always a plus. 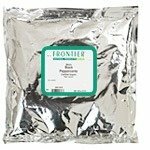 Buddha Teas has a great option that comes in tea bags, and Frontier has Chickweed that you can buy in bulk, to use like loose leaf tea in an infuser, or even to put into tea bags yourself. Both of the above would make an excellent choice, it just depends if you prefer loose or bagged teas, either way. Now, here are some of the reasons that people are seeking out this tea so often lately. Created from the leaves, stems and flowers, Chickweed tea can be used as a refreshing, healthy drink hot or cold. This tea can also be left to cool down and then used topically as a poultice for inflammations and skin conditions, according to The Right Tea. If using the loose herb, like most herbal teas, you might want to try only one teaspoon to start with, to get an idea of the strength and flavor. With tea bags, steep for a couple of minutes and take a sip before continuing. Some say it has an earthy, gentle, green taste – much like spinach, so you might want to sweeten it with honey or whichever sweetener you prefer to use. From mild sniffles to a niggling cough, you can drink a cup of Chickweed tea at the first sign of a cold, which can reduce the development of mucus and help alleviate the symptoms of congestion. Some say that this tea can help with bringing fevers down and that it may strengthen the membranes of the lungs and throat. Although many herbal tea drinkers say it can reduce the affects of allergies, you might want to take a small sip to begin with, to make sure this tea isn’t one of your triggers. According to those who use herbal teas in conjunction with a weight loss program, this herb helps with curbing the appetite and assists with poor digestion. The fresh herb can be used in salads, to stimulate digestion and support a healthy metabolic rate. So, when you’re wondering which tea is good for digestion, this is one to consider. Keep in mind that this tea may have a laxative effect on some, assisting the body in the elimination of toxins and other waste. This is in keeping with the claim that this tea has diuretic properties that may help with bloating, according to Only My Health. With more iron, zinc and minerals than spinach and kale, this tea has also been used in conditions where heartburn and peptic ulcers cause discomfort. If you have issues with constipation, flatulence and stomach pain, Chickweed tea might be a great remedy for you. This tea can be cooled and used as an infusion for the eyes, to relieve inflammation such as conjunctivitis or when you’ve spent too much time in front of a computer screen or reading. Either as a compress with cotton balls soaked in the tea or as an eyewash, this tea can help soothe and heal damaged tissues. If you’re dealing with skin conditions such as redness, inflammation and abscesses, it might support a healing regimen of compresses and poultices. You can even add this tea to a soothing bath to assist with promoting healing of joint pain, swelling and torn ligaments. Some say that blending this type of tea with Aloe Vera creates a moisturizing infusion that speeds up healing and relieving pain. As mentioned previously, Chickweed helps with detoxification and can assist with cleansing the blood by removing excess plaque in the vessels. Be sure to check with your doctor first, as some say this herb has a blood-clotting action. Some go as far as to say that it may stop bleeding in the bowels and stomach, but make sure there are no conditions present such as irritable bowel syndrome or ulcers. Again, check with your doctor first, if this is an issue for you. Chickweed can help with relieving stress and anxiety, as well as insomnia, as it does not contain caffeine and has soothing properties that also help with relaxing muscles. A warm cup of this tea at night is said to chase away irritability and help with bringing on a restful sleep. The pain of kidney infections and menstrual cramps can be alleviated by Chickweed tea. It also helps regulate menstruation, according to natural healing adherents and can apparently be safely used for long periods of time. 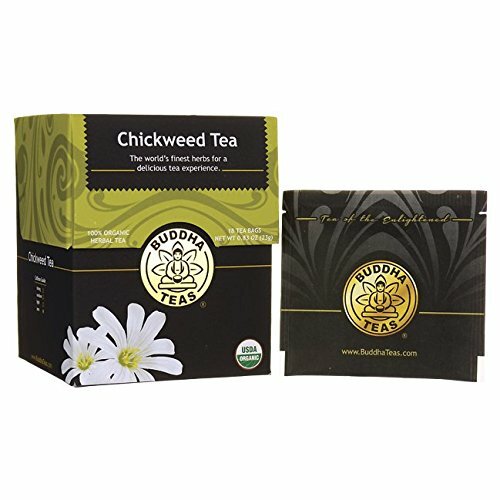 Chickweed is a herb that grows readily all throughout the world and is considered an invasive pest to some, which is all the more reason to enjoy this mild and healthy tea.